Dose of what you ask? Let’s start with some honest assessment! 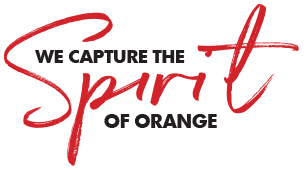 Since Orange City Life decided to make our Community Project this year “Put Orange First”, I’ve had numerous opportunities to get a feel for what people are feeling about Orange at this time. Over the last few weeks I’ve had conversations with a variety of players including business owners, a senior person in the Council, a representative from a major business industry body, someone who’s prominent in cycling circles as well as plenty of ordinary people in the street. My purpose for talking to all these people has been simply to try and identify those areas where I think we may be able to make a difference. There’s plenty that could be done, but there’s only so much we can do, given the small amount of power and influence we wield. We can however keep being part of the conversation and hope that someone with more power than us picks up anything they could or should do something about or run with. After talking to these people, I came to one clear conclusion - everyone has a different take on just about everything. Some of the typical comments I uncovered include – Orange Council is doing nothing. Getting Council approvals etc. takes forever compared to other Councils. People go to Dubbo and Bathurst to shop because they have better shopping. Bathurst people come here because Orange has better shopping. The official data shows more people shop in Orange than either Bathurst or Dubbo. The only two significant sporting projects in Orange in the last 20 years have been the PCYC and putting a roof over the pool. There’s some great things happening in Orange at the moment including makeovers at the Royal Hotel, Oriana Motel, Ophir Tavern and Metropolitan Hotel to name a few. The Mountain Bike project on Mount Canobolas has been lost because Council didn’t lobby for it sufficiently. Council didn’t fight hard enough for funding for the Planetarium and other projects. People go to Dubbo and Cowra all year round to visit the Zoo and Japanese Gardens, Orange doesn’t have a significant attraction like these and badly needs one. Retailers are doing it tough because we lost Myers and because of the drought. I mention these purely to show what people are saying, I’m not necessarily saying they are right or wrong, but they do represent the perceptions people currently have. I think it would be helpful if everyone took time to get an honest assessment of where our wonderful City is right now. Personally, I don’t really care where we are. I’m more interested in where we could be if our Civic leaders took a different tack. My view is much simpler, and it’s never changed. Everything starts with customers. From customers all things grow. If I was managing Orange, I would immediately start projects that caused more people to come here more often. I don’t care who they are, where they come from or why they came here, I just want to see more people come here, more often. Every time we have a significant event in Orange, the organisers shout from the roof tops how much it boosted our economy. Two weeks back it was big cycling and running events, currently it’s F.O.O.D Week. That’s great, so why doesn’t our Council facilitate or support things to bring crowds like that here EVERY week? If we really focussed on getting more people here every week, and we did it NOW, all other development and growth would automatically follow. One thing I wouldn’t do is get what I call ‘bogged in the paralysis of analysis’, another thing I wouldn’t do is plan to fix what’s aching now with a solution that is years away. Dec 9 It's just business….but is it? Feb 5 Why do Councils never change?